If you feel as though you haven't had enough sleep, even when you sleep through the evening, there's a good chance that you may not be getting quality sleep. Using a sleep tracker at home allows you to analyze the quality of your sleep without having to venture to a sleep center for detailed testing. There is no shortage of sleep tracker devices available, all of which will give you a good idea of the quality of your sleep. Take price into consideration, but features are an important factor to consider as well. If you simply want to know how you're sleeping, any sleep tracker should suffice. On the other hand, if you want additional features that will enhance your sleep experience, take a look at what these trackers have to offer and decide what will help you the most. After a few uses, you will have a better idea of how the above factors affect the quality of your sleep. 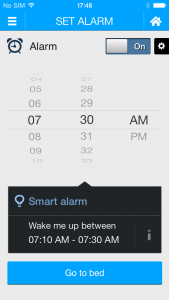 This app also includes a Smart Alarm, which awakens you within a window of time based on when you are most likely having lighter sleep. A portion of the app is also set aside for users to log dreams, which allows you to see how your daily activities and sleep quality can have an influence on the dreams you have. As editor for LoveToKnow Sleep, I was given a free trial to the premium features of this app. I found it to be extremely user-friendly and intuitive. Sleep Better made the process of tracking my sleep fun and it is easy to use. Other reviewers agree that this app is useful and incredibly simple to use. It's free to download the download the basic Sleep Better App. Premium features cost just under a dollar each to install. 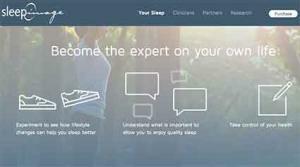 SleepRate is another sleep tracking app, but with added features that are specifically designed to help those with difficulty falling asleep and staying asleep. A heart rate monitor is worn during sleep and syncs with an iOS device (Android capability is coming soon). After a five-day period, SleepRate provides a customized plan for getting a better night's sleep based on the data from the first five days of use. Suggestions might include going to sleep at a later time, adding a "buffer" time of relaxation before bed, getting a specific amount of exercise during the day, and more. These suggestions are customized to the user and are designed to "train" the user's body and brain to get better, high quality sleep. An interesting feature of this app is the ability to record snoring and other loud noises that occur throughout the night, playing back these sounds for the user to analyze. Doctor-recommended, this app is praised by Time Magazine as the "best kept secret for insomnia that's not a pill." The $100 purchase price includes the app and the heart rate monitor. The popular Fitbit Flex activity tracker monitors your sleep and deciphers the best time to awaken you for maximum rest. A primary benefit of this particular product is that most users wear their Fitbits throughout the day, so it's not necessary to remember to do anything before going to bed for the evening. Simply wearing the Fitbit Flex as usual is enough for sleep tracking. The sleep tracking provided by Fitbit Flex is basic, but can give users a good idea of how restless they are while sleeping. A particularly beneficial feature is that the device estimates the best time to awaken users - right around wake-up time, but when your sleep is at its lightest. This can can help you awaken refreshed. 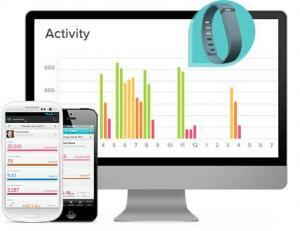 Amazon customers are mostly pleased with the Fitbit Flex, where it is a bestseller. Customers say that the sleep tracking is a great feature. This is a good option for those who want the added benefit of activity tracking and don't mind wearing the device all the time. Purchase the Fitbit for around $100. This sleep tracker system is appropriate for individuals who need in-depth, clinical analysis of their sleep and is only available through a licensed healthcare provider. SleepImage stands out because it uses CPC technology instead of relying on actigraphy (the body's movement) to obtain sleep data. This at-home test requires users to place ECG electrodes on their chest and wear them throughout the night. The kit is then sent back to SleepImage for an in-depth analysis. The technology used by SleepImage has been extensively tested and validated by several scientific publications. The FDA's approval of SleepImage sets this product apart from other sleep tracker systems. Speak to your medical provider or insurance company to find out what cost may be associated with this system for you. For those who are serious about getting a good night's sleep, the Sleep Smart Intuitive Bed is an excellent option. This mattress records sleep patterns and adjusts accordingly, to provide users with the best night's sleep possible. These mattresses come with Bluetooth technology and an app that records your sleep patterns and provides a detailed daily report. Additionally, the mattress adjusts throughout the evening in response to sleep patterns, changing support in various zones according to your position. Reviews of this product are scarce since the product is newly available, but one reviewer says that this mattress not only tracks sleep, but also provides a better night's sleep. Contact Sleep Smart for pricing information. The right sleep tracker will not only give you information about your sleep, but will also help you to develop habits conducive to improved sleep at night. A better night's sleep can help you awaken refreshed and poised to conquer the day.